Last week, word came out from our friends at the Buffalo Field Campaign in West Yellowstone, Montana, that the state Dept. of Livestock decided not to round up and exterminate 300 wild buffalo (including calves less than a month old). Well, their compassion appears to have been short lived. We received word from the BFC today, that despite Gov. Schweizter’s calming assurances, the Dept. of Livestock have trapped 50 buffalo, and the bull bison among them will soon be heading for the slaughterhouse. Don’t know about you, but I’m not feeling real positive about being lied to. Especially after I called Schweitzer’s office the day of his much heralded buffalo pardon to thank him for doing the right thing. Long story short, if you care about wild animals and don’t like being lied to, take action now. You can read the email we received from the Buffalo Field Campaign after the jump. WE HAVE BEEN LIED TO. Your calls are needed now. Approximately 50 wild buffalo are in the trap near West Yellowstone’s airport right now. After all their quotes in papers worldwide promising not to slaughter any buffalo left in Montana, the agencies have back-tracked on their word to the American people and others throughout the world. MONTANA INTENDS TO SLAUGHTER WILD BUFFALO TODAY. A Montana Department of LIEStock press release stated they will capture and slaughter any bull bison that are in the small group of approximately 50 still in Montana. They claim the bison trap cannot handle bulls, which is another lie because, as you know, they’ve captured and sent to slaughter hundreds of bull bison over the years. Intent to slaughter bull bison was confirmed by officials with Montana Fish, Wildlife & Parks. 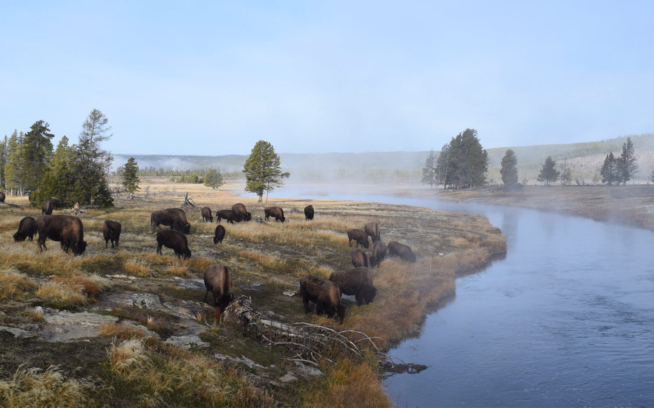 Bull bison pose no risk of brucellosis transmission. With calving season over, none of the buffalo pose any risk of brucellosis transmission to cattle. There are no cattle on the public lands that wild bison are migrating to. There has never been a confirmed case of wild bison transmitting brucellosis to cattle. Agencies might also send yearling buffalo to the Corwin Springs quarantine facility, where they will be raised like livestock and used in scientific experiments. Half of all the yearlings sent to Corwin Springs will be slaughtered. 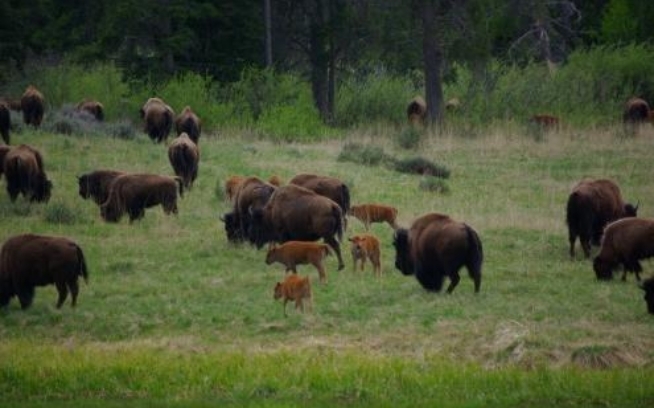 Apparently, the agencies will still transport the buffalo mothers and calves they capture in West Yellowstone to the Park’s Stephens Creek bison trap near Gardiner. Transport is going to be a living hell for these moms and calves who will be separated for the over 150-mile long journey. They will hold the bison captive for a few days before releasing them. BFC patrols are in the field documenting everything and doing a lot of community outreach near the capture facility. PLEASE TAKE ACTION and attempt to save the lives of these bulls and yearlings. We’ve done it once, let’s do it again. Please spread the word to save this herd! * MONTANA GOVERNOR BRIAN SCHWEITZER: Ask him why he lied. Demand that Schweitzer keep his promise to not slaughter any buffalo! 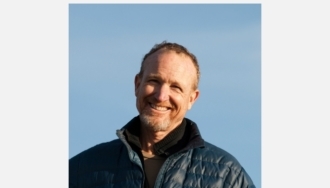 Tell him the solution is in year-round habitat for wild buffalo in Montana. * MONTANA ACTING STATE VET JEANNE RANKIN: Urge her to withdraw her decision to slaughter Yellowstone bison bulls who pose NO RISK of transmitting brucellosis. Remind her the whole world is watching! why she is part of the lie? Do not allow Montana to slaughter bulls or put yearlings in quarantine! These are AMERICA’S last wild buffalo, not Montana’s. Tell her you know the Stephens Creek trap could hold bulls, so there’s no reason that Montana should slaughter them! Thank you for keeping the pressure on these officials! These wild buffalo are the country’s last. They have never transmitted the cattle-disease brucellosis back to the cows they got it from. They are native to all of Montana and have a right to roam, especially on our public lands. SPREAD THE WORD ~ SAVE THE HERD! BFC is the only group working in the field every day to defend the last wild herd of buffalo in America.